PIA (Pakistan International Airlines) was known as one of the top Airlines in the world. Yes, you are not mistaken, I said the WORLD. It was the first preference of almost everyone wanting to fly high in class. Hailing the slogan "Best People to Fly With" you do wonder now what went wrong in between all those years to that brilliant service, style and charisma? 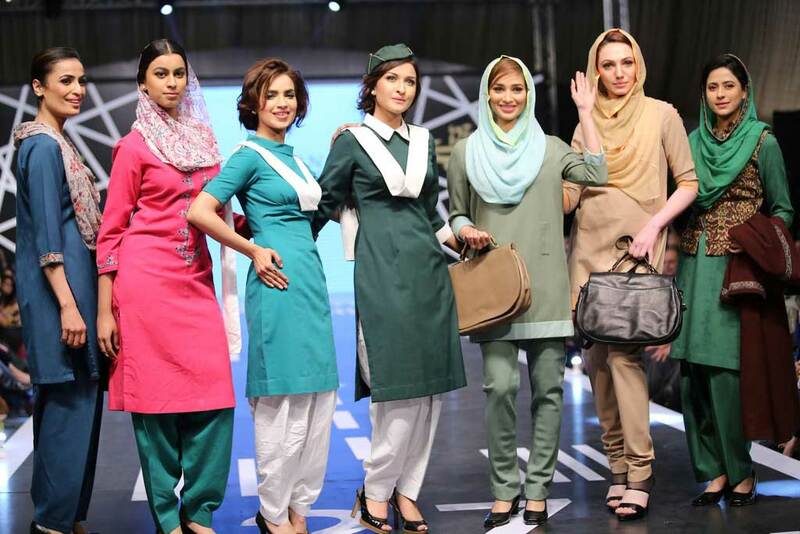 Well, the good news is that PIA has decided to win back our hearts and lost glory, starting with some new uniforms that would deliver the message of Modern meets Culture. 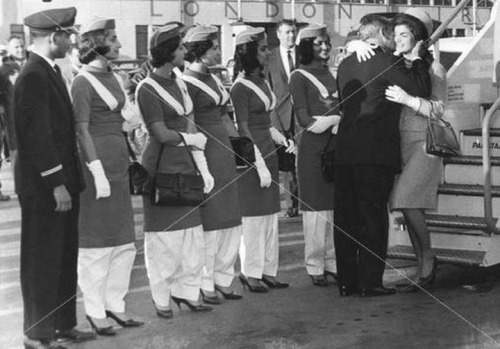 Did you know that in its Glory days PIA was the favorite airline of Jacqueline Kennedy, the first lady of USA? well now you do. If that is not glamorous then I dunno what is! 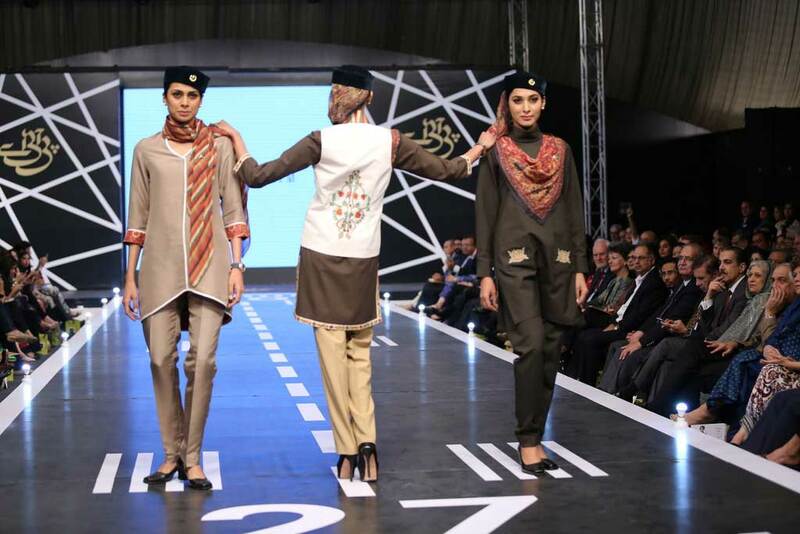 The Style PIA Fashion show showcased many designs of selected designers who were generous and patriotic enough to work pro-bono for this cause. 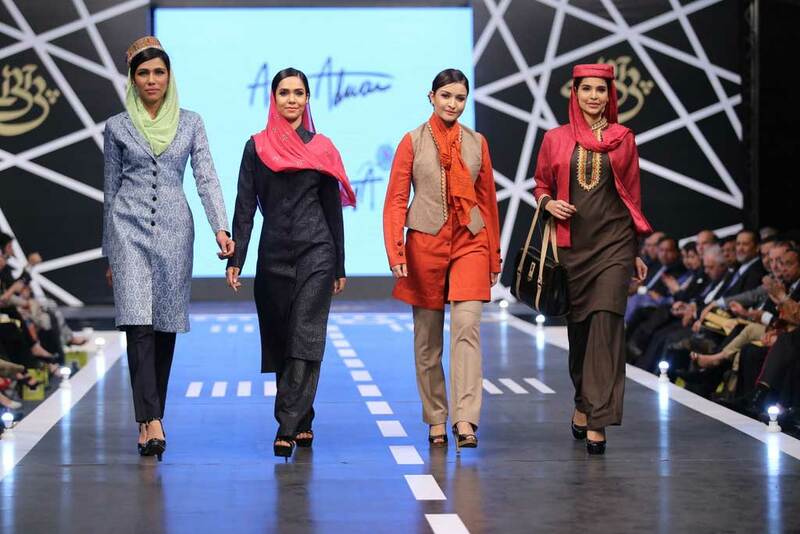 Every designer was briefed to keep up with PIA's sartorial legacy to emulate style in their prestigious institution. 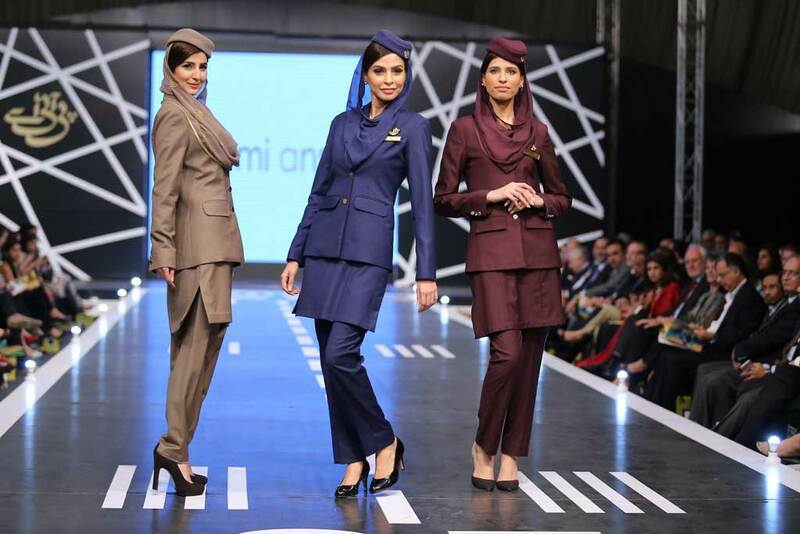 They all put together complete looks comprising of caps, shoes and other appropriate accessories for the ground and cabin crew. There were hits and misses, nonetheless the designers get full points for effort of creating a uniform keeping in mind all the important qualities required. 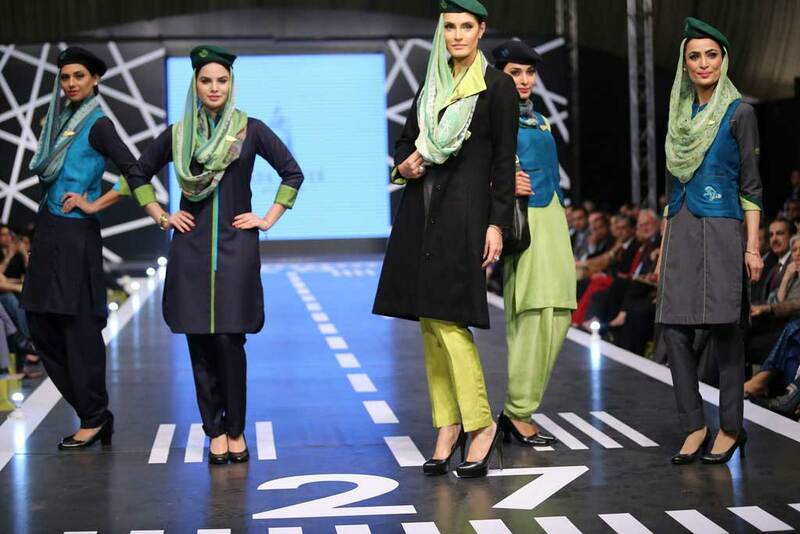 The show began with models showcasing the PIA Uniforms worn throughout the eras since 1954 (I did suspect some models were actual air hostesses, you never know). My Favorite was the one from the early 70s. 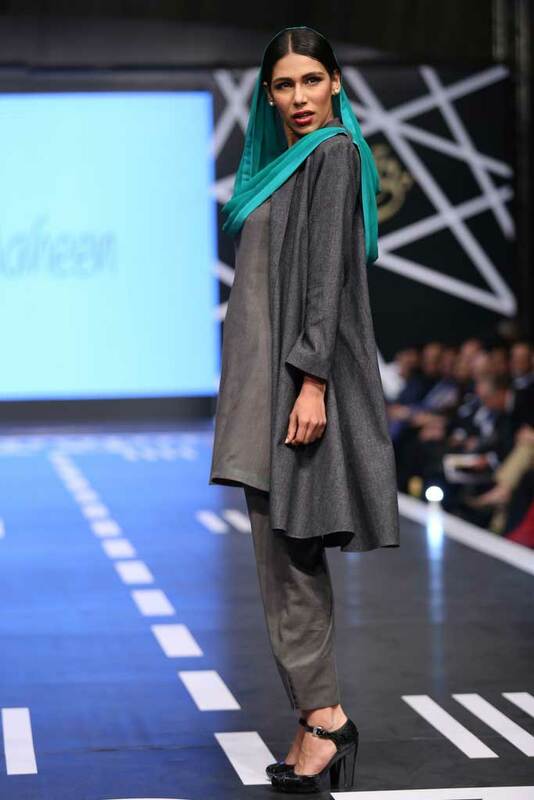 Ali Xeeshan was a surprise for me, perhaps the subtly was the reason why. You do not expect anything less than dramatic glamour yet here we witnessed linear lines and structured attire which was pleasantly appealing. Amir Adnan took a very AWAMI approach. 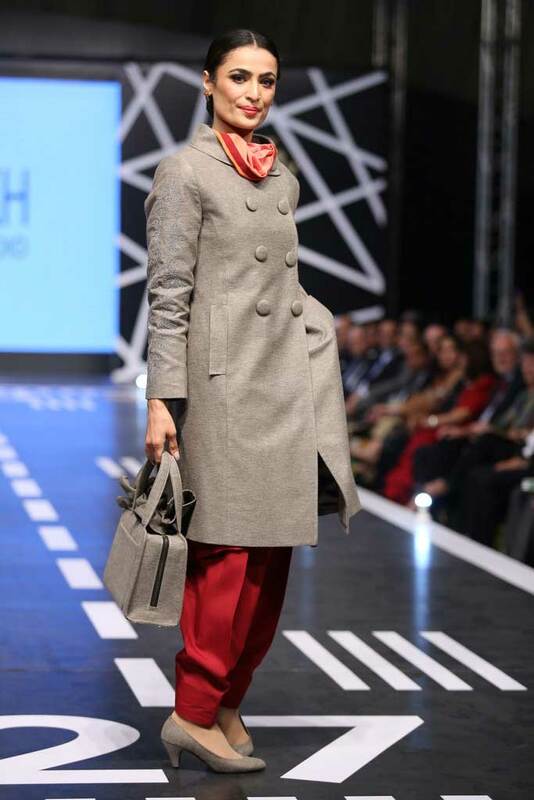 The clothes reminded me of Journalist and revolutionary artists. 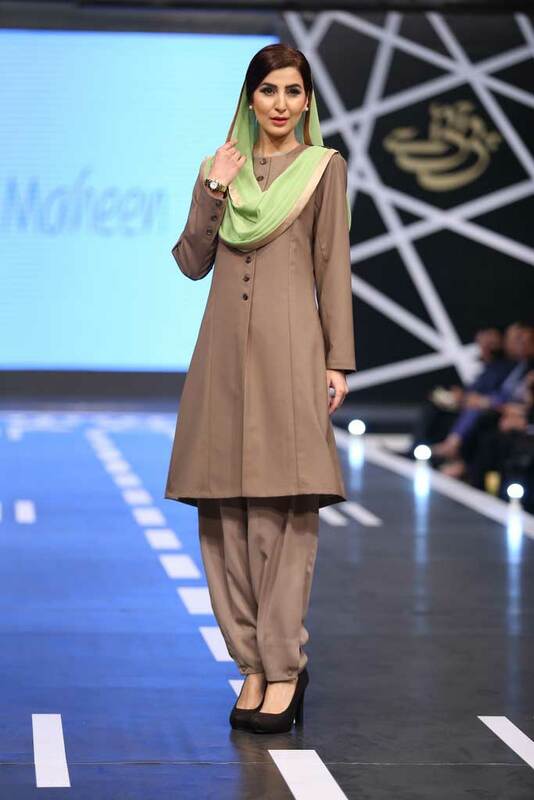 The tailored look was applaud-able however a bit more femininity in the attires would have made them a winner. 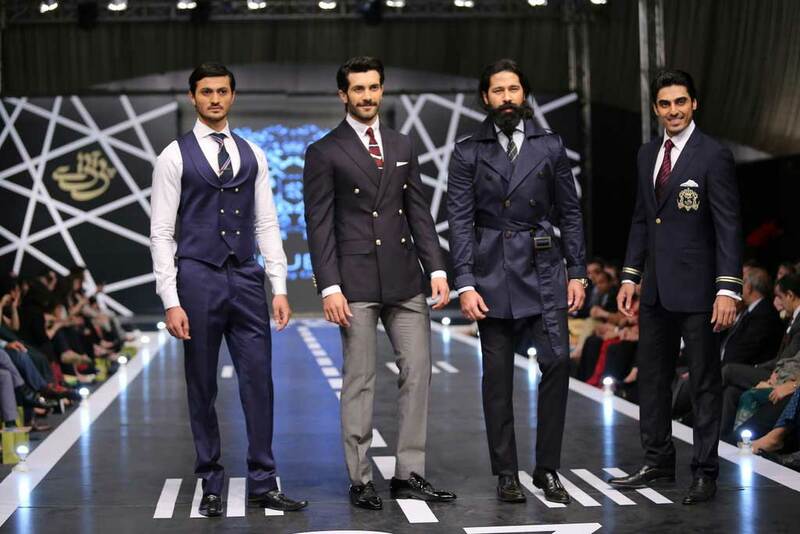 Fahad Hussayn was yet another surprise when it came to subtlety, however there was a certain dullness not to forget the uncanny resemblance to gym clothes gone desi? 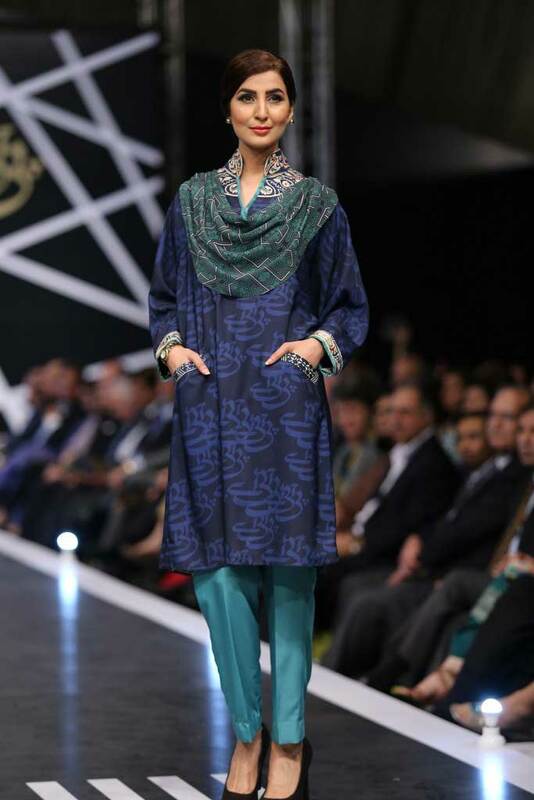 Deepak Perwani's take on the uniform was very elegant, the color choice and ebroidered detailing emitted vibrancy. 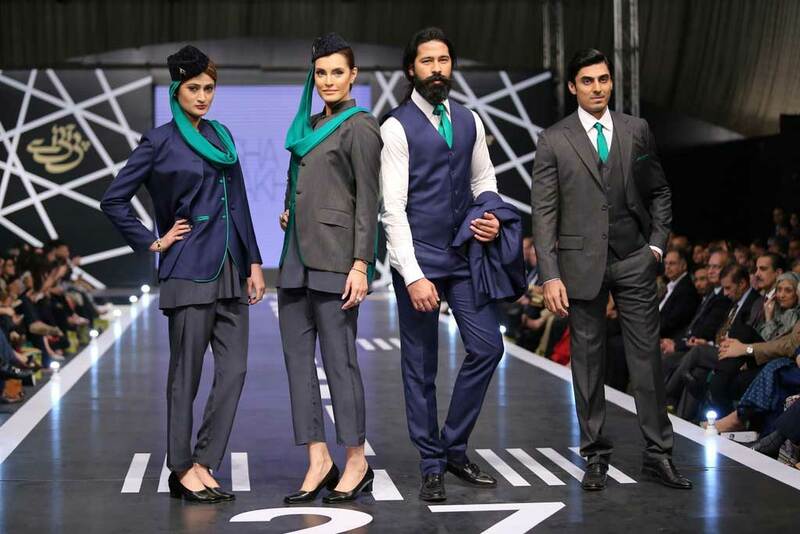 Ismail Farid needs to be given a medal for making uniform finally look HOT on desi men in all its sartorial glory. 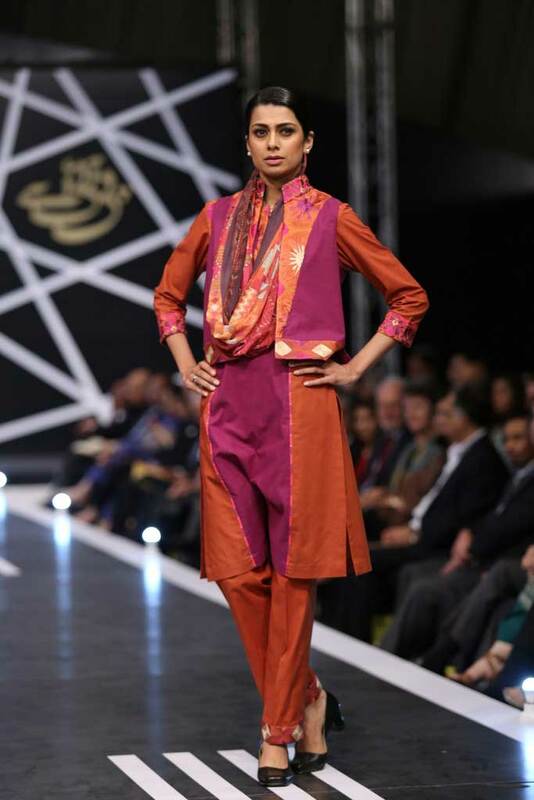 Khaadi was spunky with cultural richness through their embroidery, juxtaposed with modern cuts. 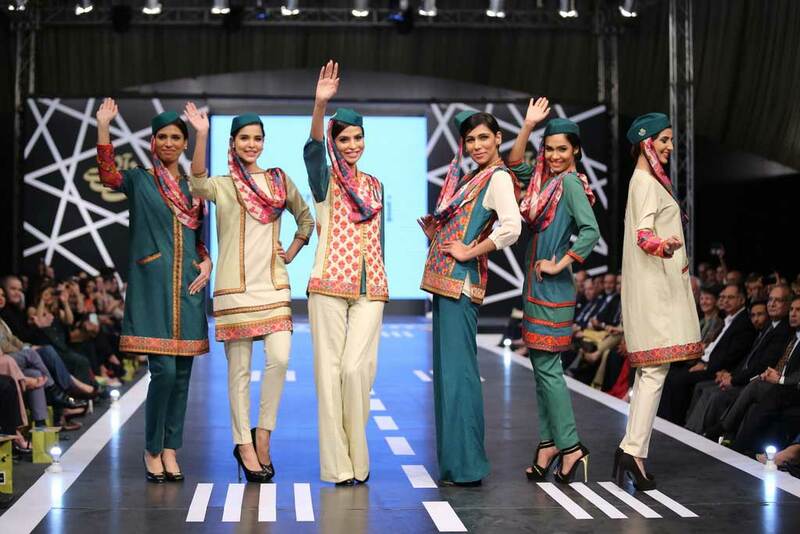 It was also the most liked, all though not the most practical PIA wise, of all the designs showcase that evening. 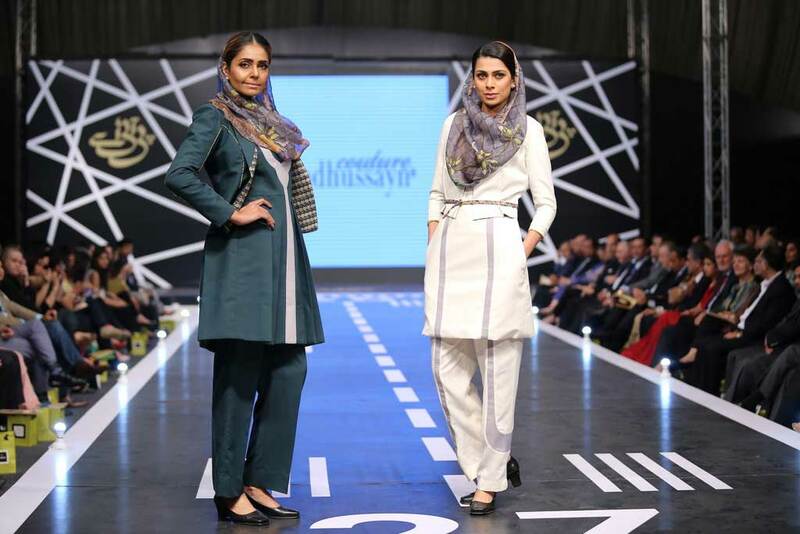 Misha Lakhani, Maheen Khan, Maheen Karim and Nida Azwer had very simple looks enhanced through subtle detailing of color, printed cuffs and collars, vibrant scarves and minimal embroidery. 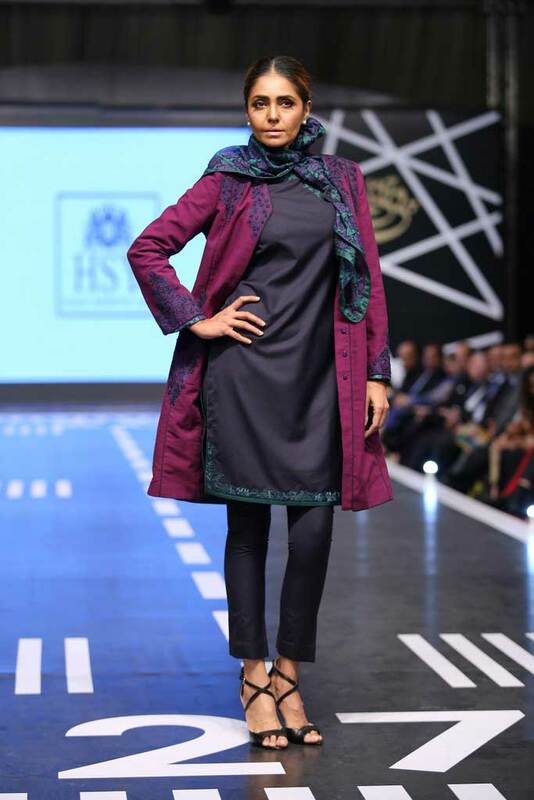 Shamaeel/Sonya Batla and Sania Maskatiya were innovative with a spiced up color palette and two toned prints, however it did not compel the masses. 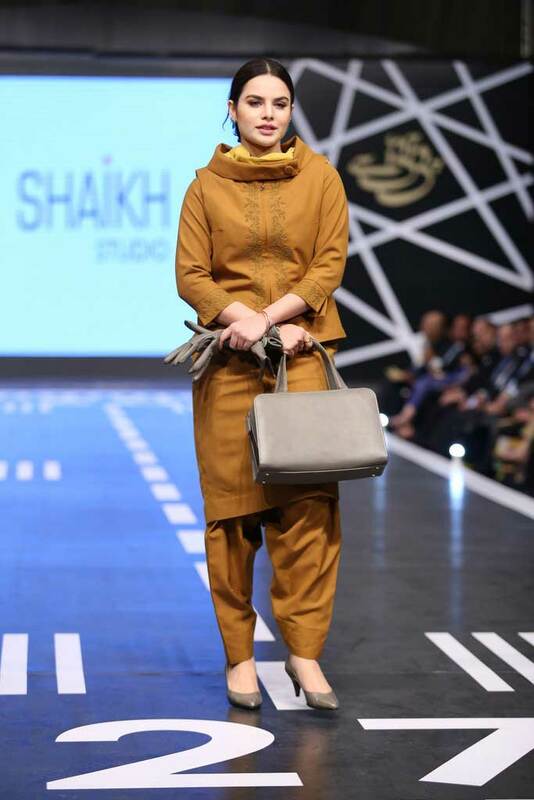 Yasmeen Shiekh was admirable with the most flattering style among st most. That light cowl neck jacket looked so sassy! 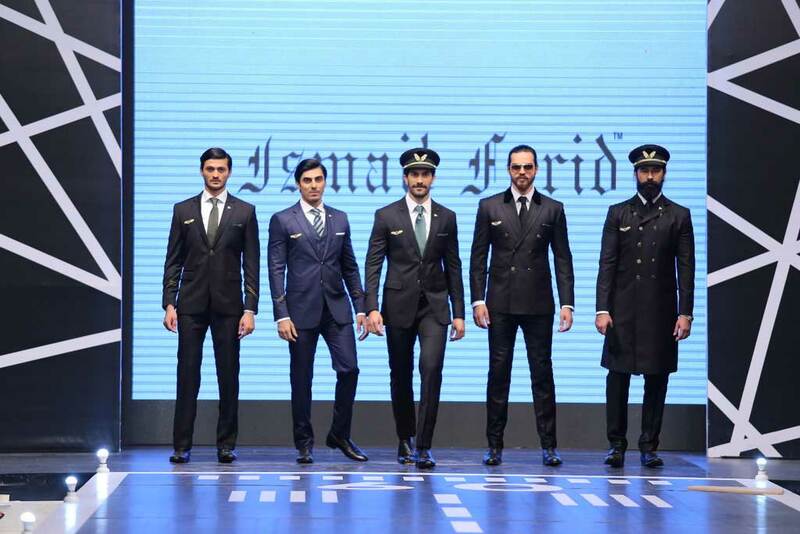 Republic by Omar Farooq (men's only) was not as hot as Ismail Farid but it did have the professional attitude to the T. Nomi Ansari's designs actually looked like they were uniforms of some airlines. They may not have been colorful, or have any embroidery or print, but they looked complete, head to toe. Deep, jewel toned shades was also a good choice. EVERYONE cant be winners but choices had to be made keeping PIA's philosophy and their dream to make the furture better needs to acknowledged. 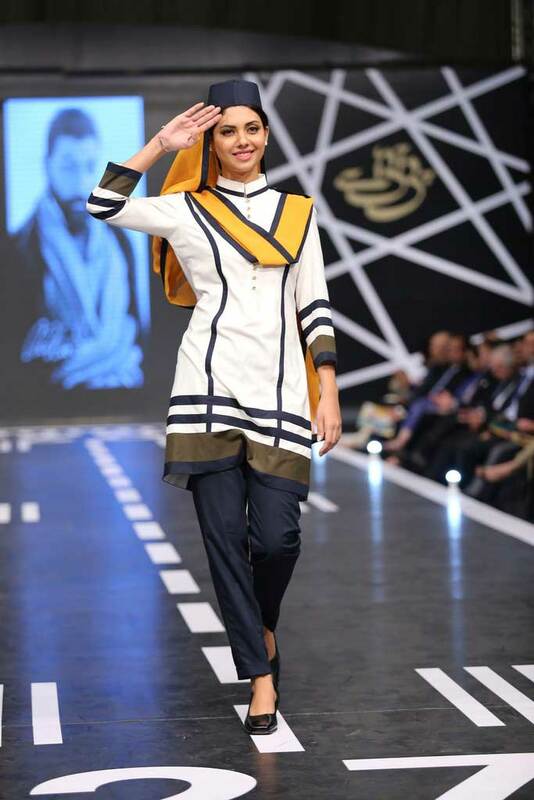 The judge’s panel selected Nomi Ansari for women’s wear, Republic by Omer Farooq for men’s wear, while the crew will be sporting Sania Maskatiya’s caps and Yasmeen Shaikh’s jackets to complete their uniform. I cant really visualize how all of them will look together, but oh well, that's PIAs New Look for their Ground and Cabin Crew. Now hope they get a Stylist on board for grooming sessions too. 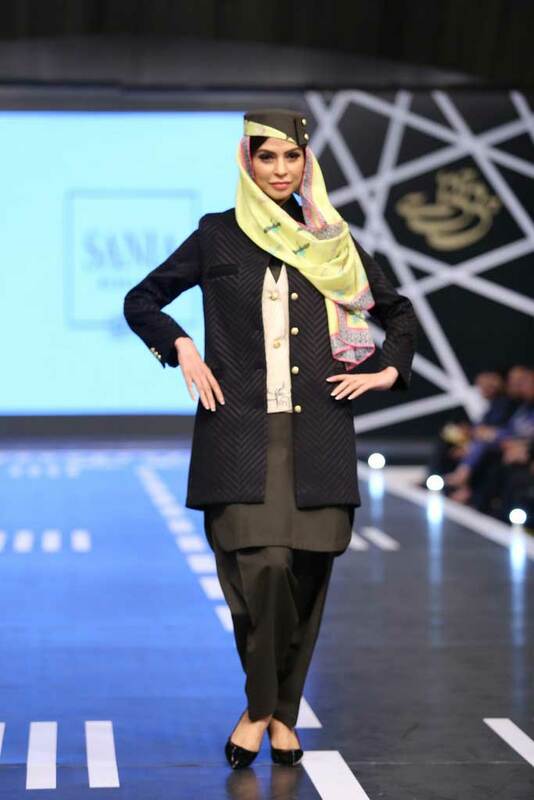 The event partners are spectrum YR, Nabilas for hair and makeup, Event by Catwalk event management and productions and PR by Catalyst PR & Marketing.